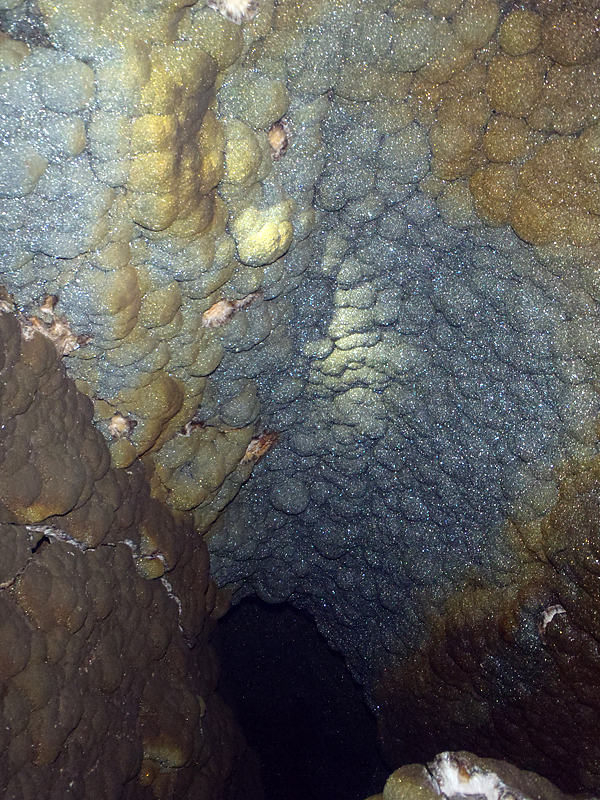 You are here: Main page » Mineral Travels » Giant pocket in Lubin, Poland! Giant pocket in Lubin, Poland! 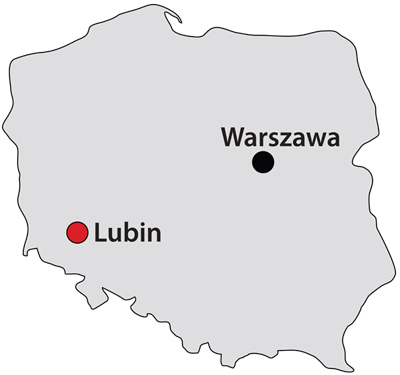 The Lubin area is famous for one of the world biggest copper (6th producer) and silver (2nd producer) deposits. 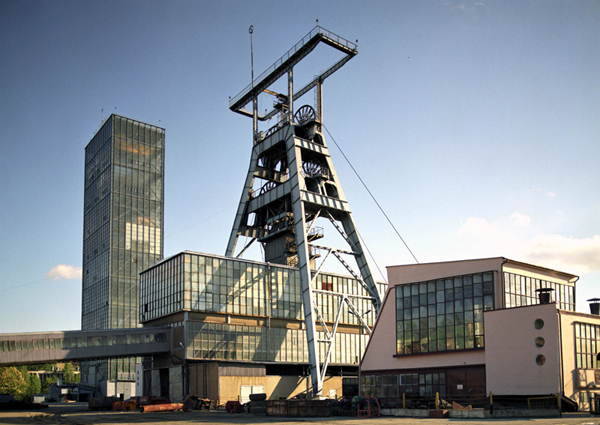 In 3 enormous mines, over 20000 miners are employed. The average depth of workings is about 1000m. Several years ago, the total length of tunnels reached over 10000 km! 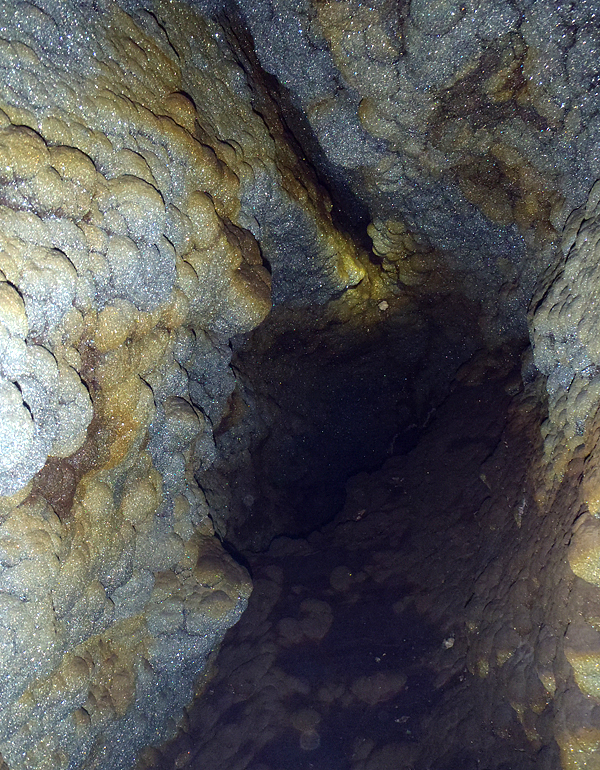 The copper and silver deposit mined in this area is a sedimentary basin. It occurs in the Zechstein cyclotemes, black shale formations deposited during the Upper Permian in a huge, anoxic epicontinental basin. 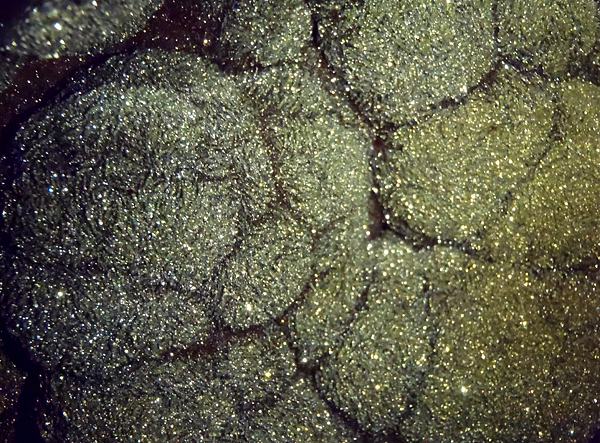 The most important ore minerals occur as a micro-grains and are visible only under the microscope. Due to elemental (hydrothermal) mobilization, part of this primary mineralization became locally bigger and evident with naked eye, as well. Usually, it contains baryte, bornite, chalcocite, chalcopyrite, gypsum and marcasite. 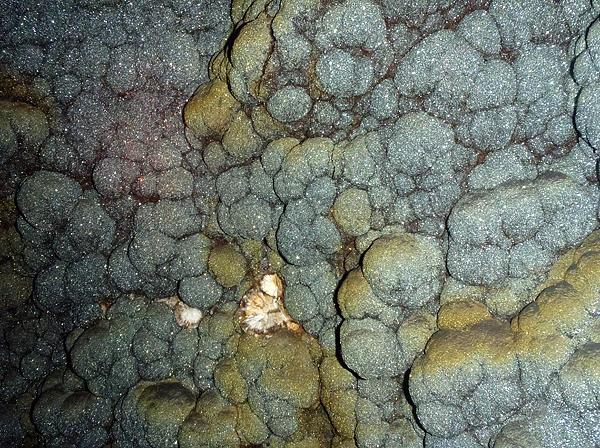 The majority of the secondary mineralization occurs in faults as solid veins, rarely with cavities. 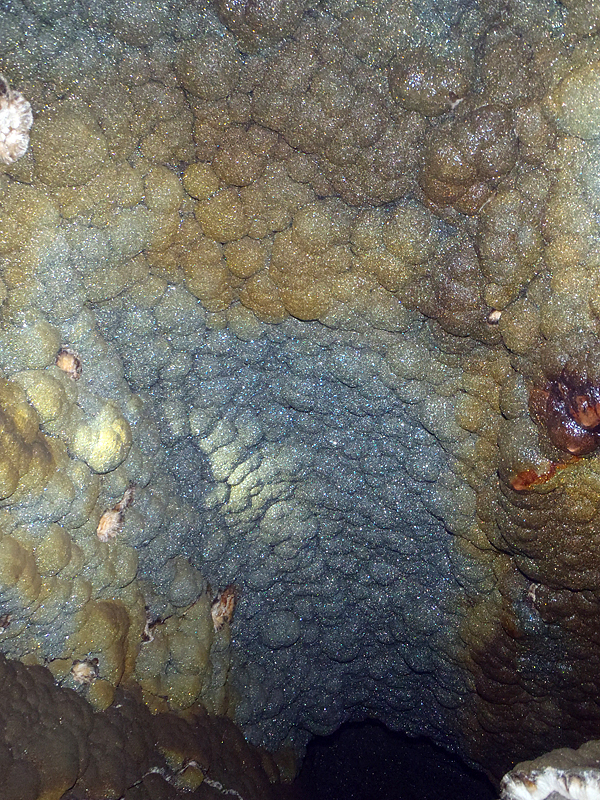 In limestones, sporadic karstic cavities may occur. 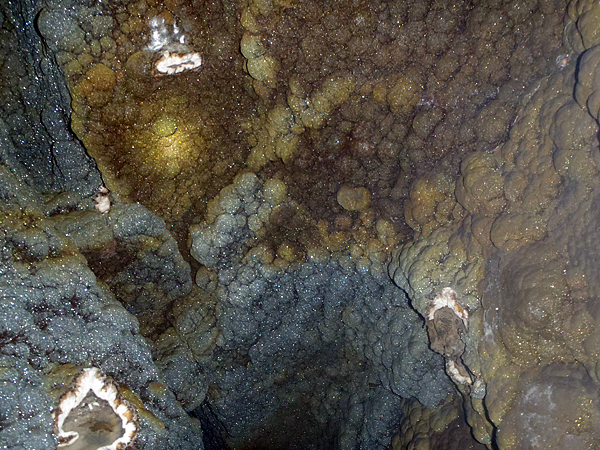 Those cavities, when present, can reach a diameter of several meters, and they are usually filled by baryte or gypsum. 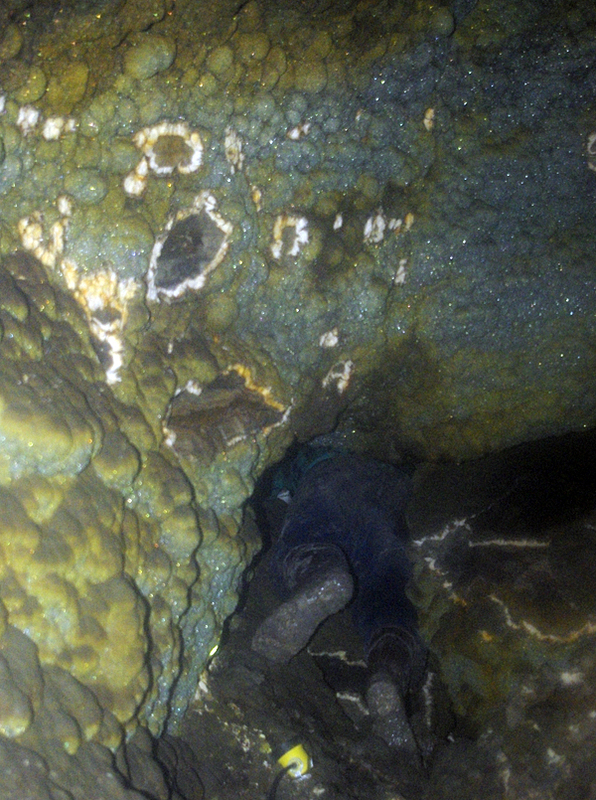 In summer 2011, in “Lubin Glowny” mine (‘Pugib’ section), an unusual discovery was made. 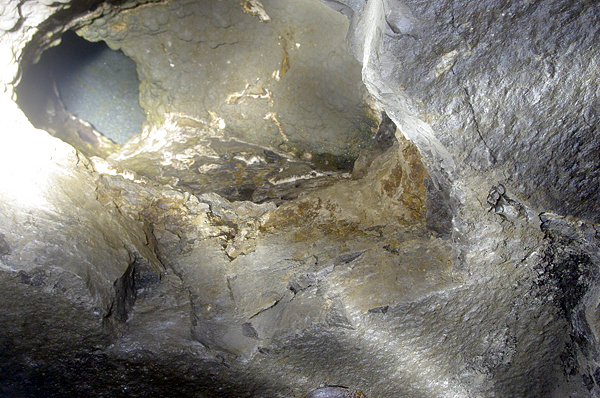 While a miner was excavating following the black shales, he crossed a huge fault. 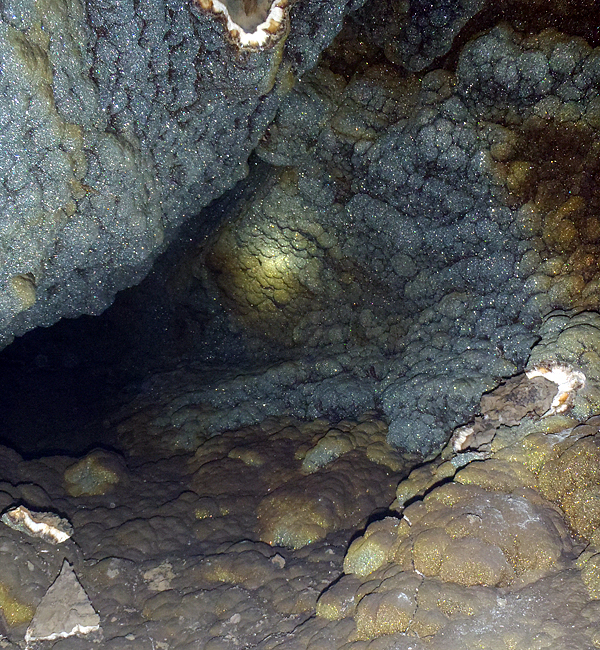 The footwall was represented by limestones, stratigraphically circa 30 meters above the shales. 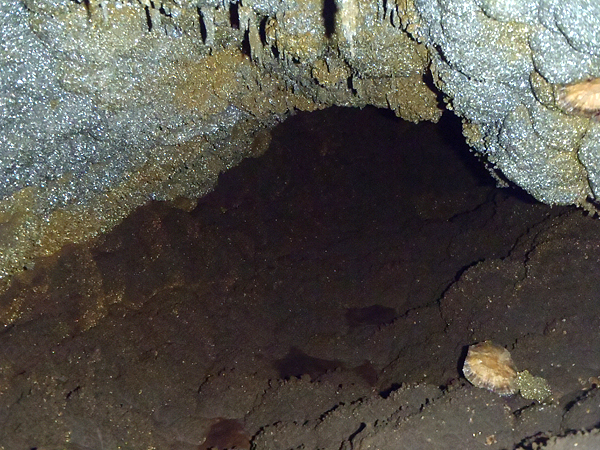 After mining a few meters in the roof of the tunnel, a cavity was exposed. 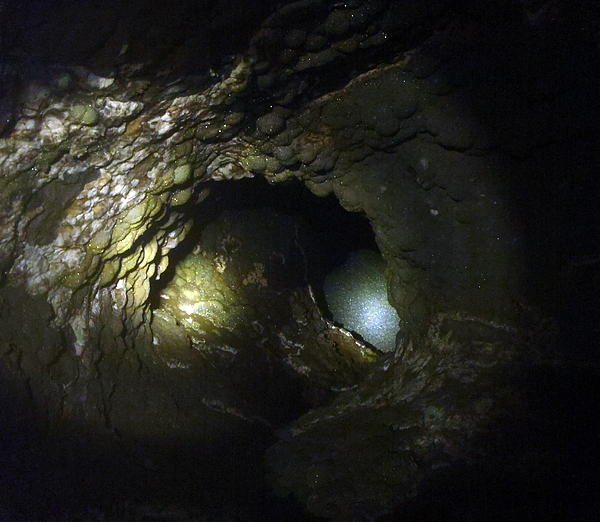 The miner had to use a ladder to climb to this cavity. After climbing, the first part of pocket was revealed to him. The pocket had the shape of a vertical chimney, up to 5 meters high. At the end of chimney, the pocket curved and changed to long, irregular tunnel, about 11 meters long! The pocket was so big that in some parts it was even possible to walk inside! 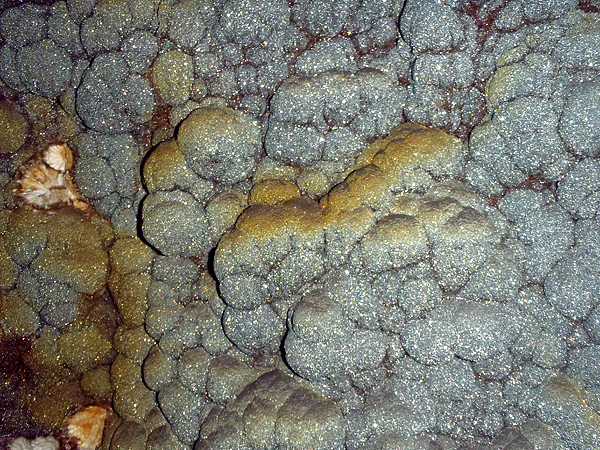 The entire pocket was covered by kidney shaped baryte. 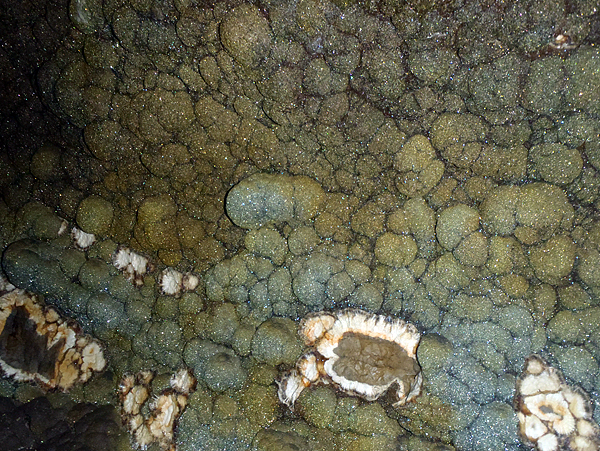 The floor was covered by dust, but the walls and the roof baryte ‘balls’ were covered by small sparkly and colorful marcasite crystals. The whole pocket was shiny and very impressive. The shape of the walls was irregular, with a variety of hanging concave and convex structures often cropping out of the walls. 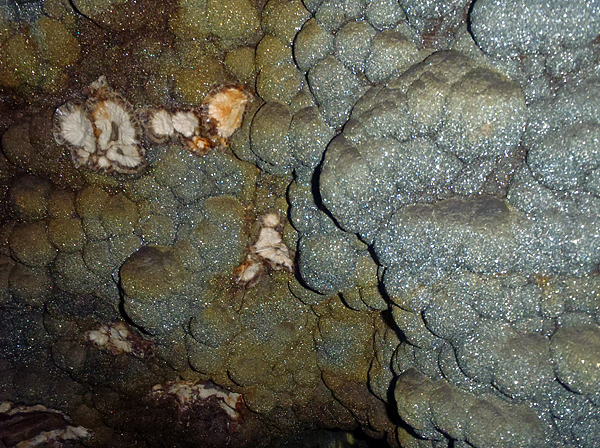 Those forms were also covered by baryte and marcasite. 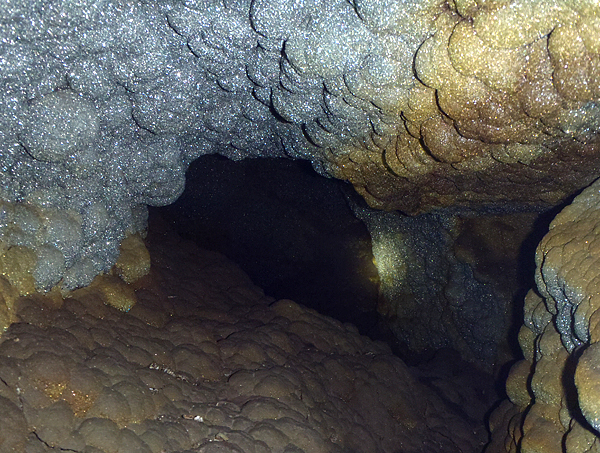 Locally, also small pseudostalactites were present. 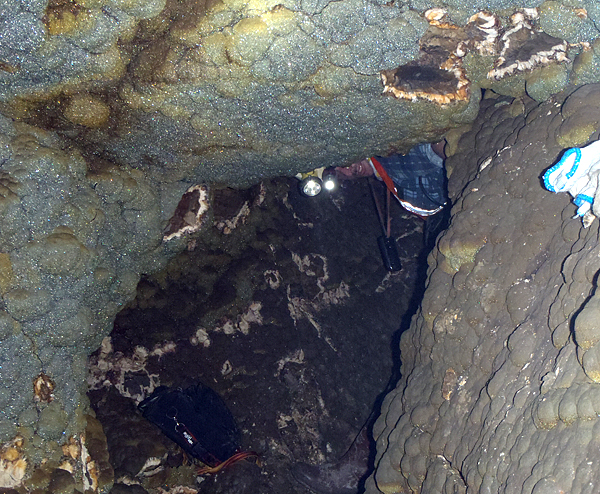 During the short time that the pocket was exposed, the miners had the chance to take photos and collect several specimens. The easiest parts to collect were the ones which were cropping out of the flat parts of the walls and the roof. Biggest collected specimens reached about 50 cm in size. Unfortunately, shortly after the discovery, the pocket was filled by concrete, and probably it will not produce specimens anymore. However, we must say that we appreciated very much the effort of the miners in documenting the pocket, and thus not only interested in the extraction of the specimens. Obviously, the specimens collected from this pocket are far from being world-class quality. They are just very interesting, given the provenance. Nonetheless, we decided to publish this short article here because we think that the photos and movie made by the miners (especially by Dariusz Majcher) are far more important than the specimens. It is very rare to see specimens in situ, in freshly opened pocket! Map of Poland with marked the location of Lubin mine. Headframe of Lubin Glowny mine. 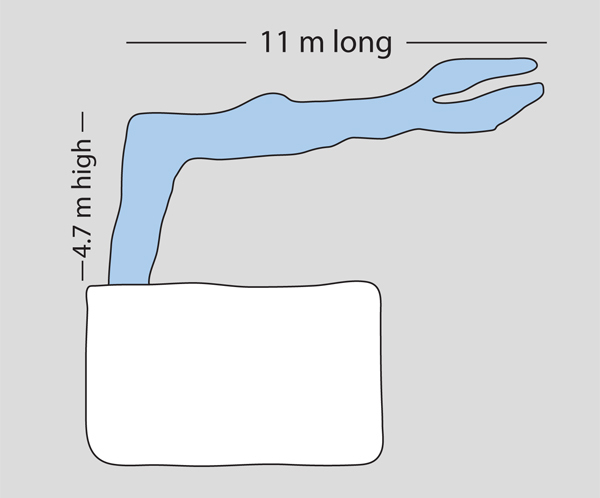 Cross-section of tunnel (white) and pocket (blue). 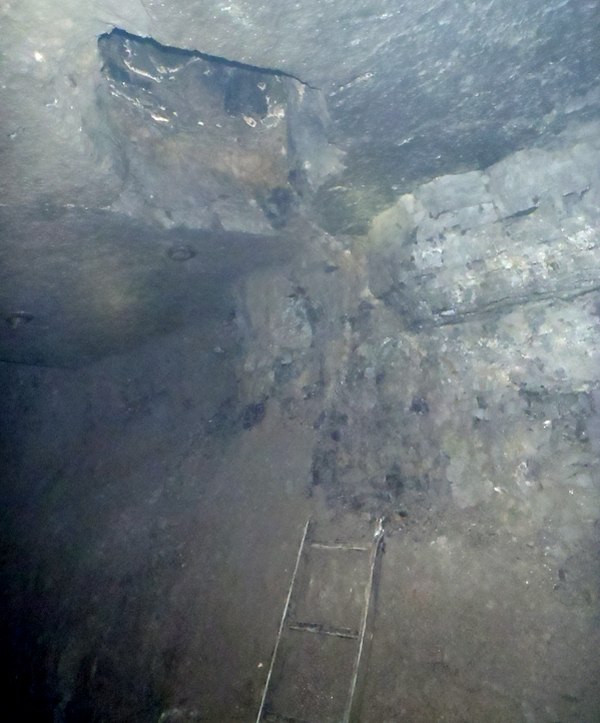 Entrance to the pocket in the roof of the tunnel. D. Majcher photo. Entrance to the pocket. D. Majcher photo. Chimney going up for about 5 m. D. Majcher photo. Short movie showing pocket. Made by D. Majcher, G. Bijak and SpiriferMinerals. In the pocket. D. Majcher photo. Inside the pocket. D. Majcher photo. Note the size of the man! D. Majcher photo. Close-up of walls of the pocket. D. Majcher photo. 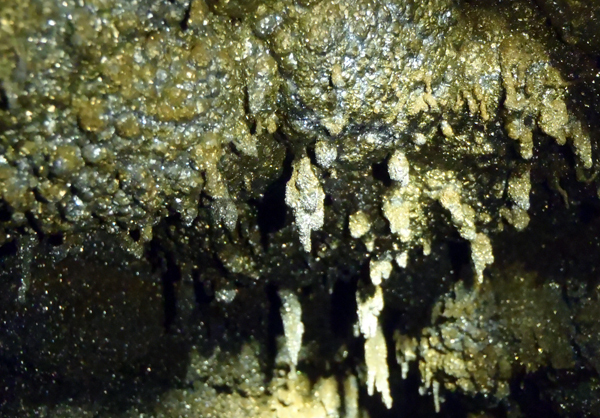 Pseudostalactites at the roof. D. Majcher photo. I would be more than happy if at least once I could see something like this with my own eyes. You made this old-timer want to get back into the pegmatites in Maine and look for more tourmalines and aquamarines,etc.Best of luck. In the 1940`s the Mines department was drilling in the northern Flinders Range at a location called Mount Gee (now known as "The Crystal Candy Mountain"). The drill reports speak of a "cavity" within the mountain where for 23 metres the drill was free running. 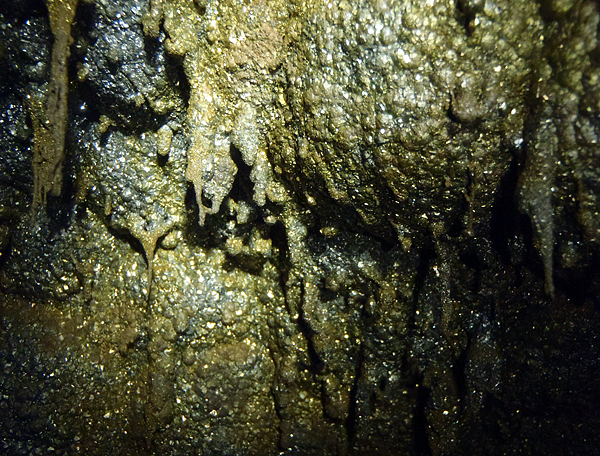 I suspect this cavity to be lined with quartz crystals and other crystaline material if the surface mineralisation is any indication. 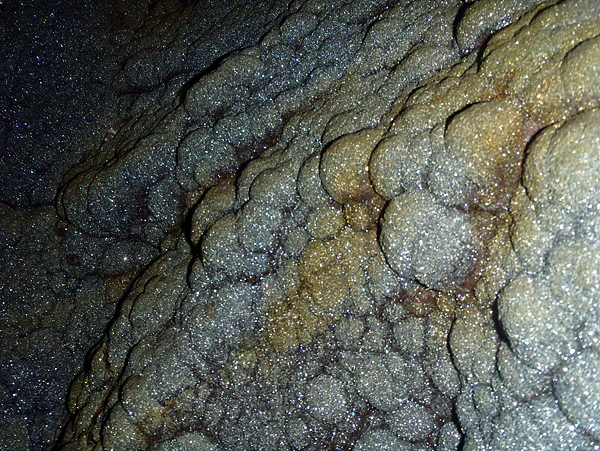 The area is covered in quartz crystals of all colours and sizes. Similar perhaps to the Lubin formation. Incidentally, the drilling was to locate Torbenite (Uranium) which was later discovered at near by Mount Painter. The Uranium finished up at Los Alamos and was used in the production of the atomic bomb. "Obviously, the specimens collected from this pocket are far from being world-class quality." Just wondering why they are not? I have looked at thousands and thousands of rocks and to me these are incredibly interesting and aesthetic. Have others been found similar?